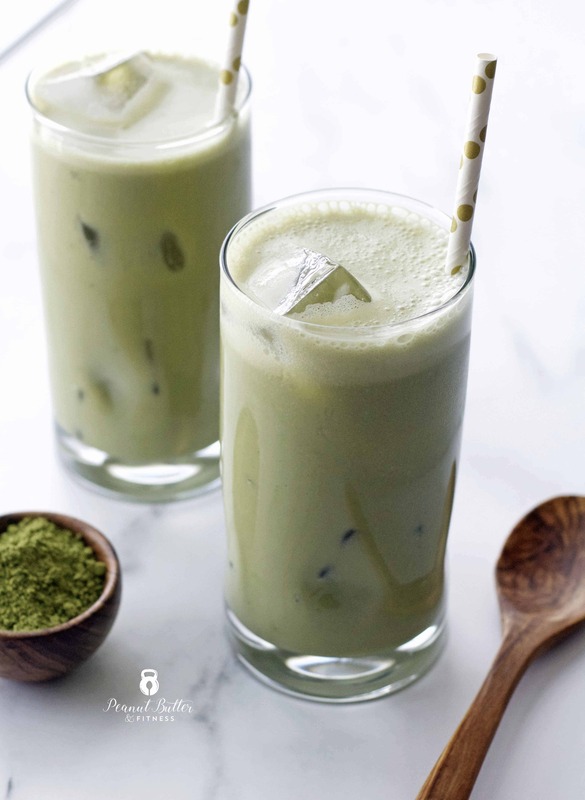 Have you jumped on the matcha train yet? I’m a huge fan of green tea, so it’s kind of a natural progression for me. I’ve had it in mochi form, sprinkled on desserts, and in hot matcha tea before, but surprisingly this is the first time I’m using it in one of my recipes! 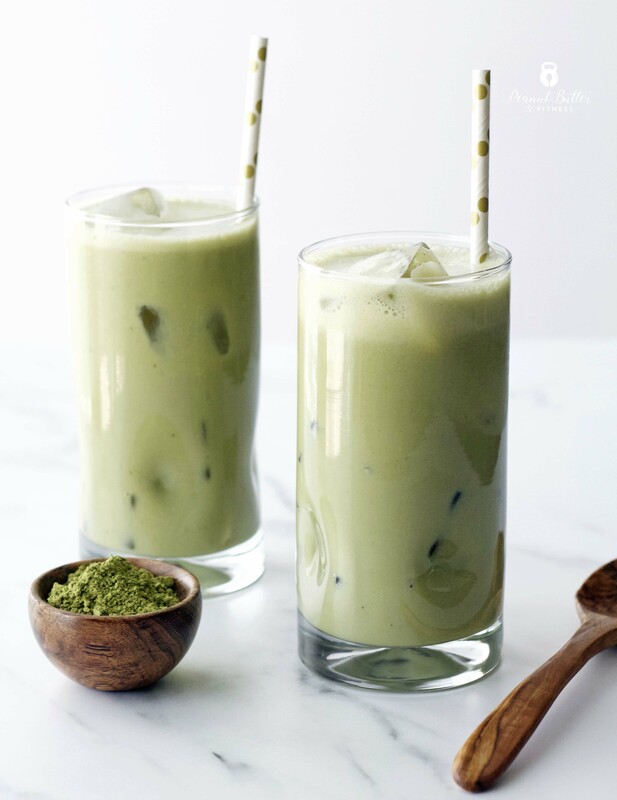 The matcha powder itself has a nuttier/earthier flavor than green tea packets, but it’s still a very dainty flavor that goes well with lightly sweetened things like the soy milk I put it in for this latte. You could of course use some almond milk instead of soy, but I actually think soy works better here because it’s got a sweeter profile than almond milk. I paired the matcha and soy up with a couple scoops of collagen for a nice protein boost (17 grams protein per glass!). Throw in a little coconut milk if you want to make yours extra creamy. 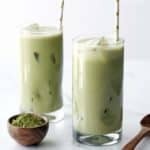 In case you’re wondering why you might want to drink matcha powder (aside from the flavor) – it’s high in antioxidants and does some other pretty good stuff for your body that you can read about here. Just be sure to get a good quality, unsweetened brand. 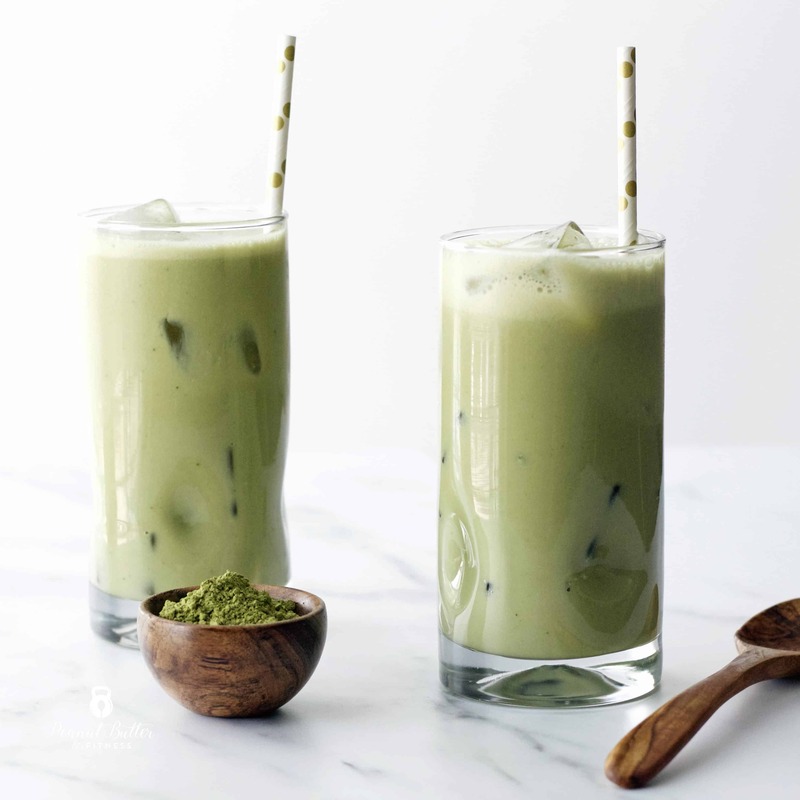 Enjoy this latte as a sweet summer treat and protein boost! Add all ingredients to a blender or shaker and blend until smooth. Strain before pouring into serving glasses if any clumps remain.